I grew up in a very Irish American family. After all, my last name is Kennedy, my first name is Celtic for "The Strong" and I was born with Catholic guilt in my veins. 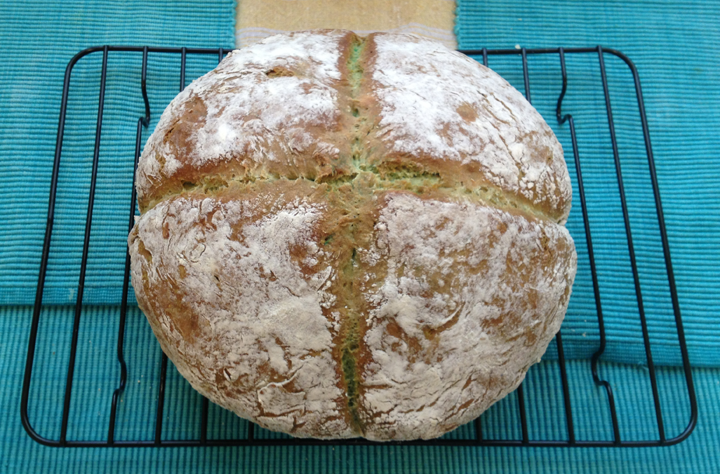 When I was a kid, my mom used to make Irish Soda Bread with us for St. Patrick's Day and at my insistence, it had to be green. So the leprechauns would recognize it, obviously. Traditional Irish Soda Bread is a St. Patrick's Day staple for me and is far more basic that 95% of the recipes you'll find when you Google it. 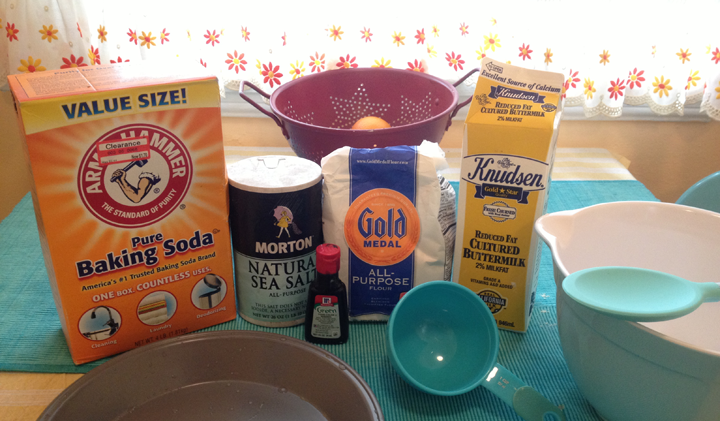 It requires 4 simple ingredients: all-purpose or wheat flour, baking soda, salt, and buttermilk. 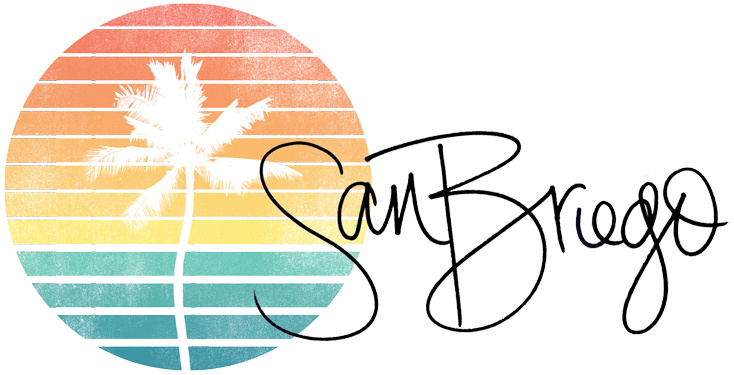 And if you make the SanBriego version, it requires a special fifth ingredient: green food coloring. 2. Lightly grease and flour a 8" round cake pan. 6. Bake at 450 degrees for 15 minutes, then reduce heat to 400 degrees for an additional 30-35 minutes. A lot of recipes will suggest adding currants, raisins or orange zest to your bread. 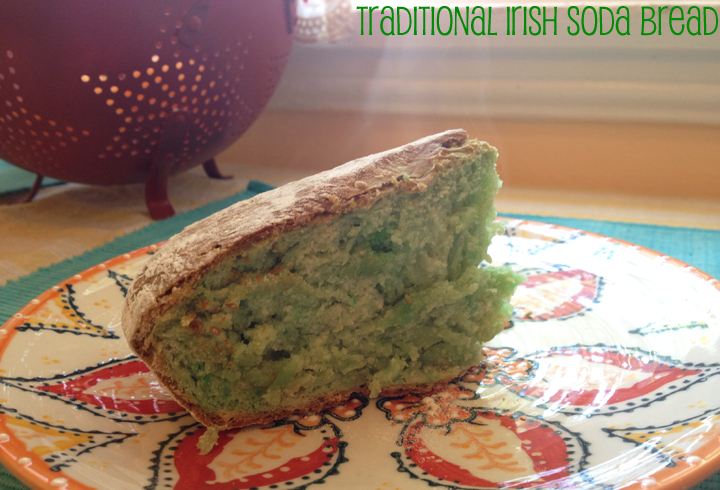 Traditional Irish Soda Bread doesn't contain any of these things, but it probably wasn't green either. :) Enjoy a slice with melted butter or serve it as a side to some Shepherd's Pie like we did last night. Sláinte! Yum! This bread looks amazing. The green color is just clever! theres nothing i love more than homemade bread. looks to die for!